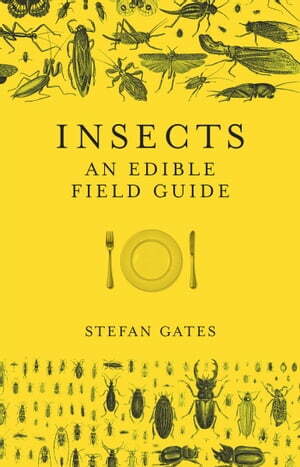 Collins Booksellers - Insects by Stefan Gates, 9781473550735. Buy this book online. Ever been tempted by the thought of trying juicy deep fried mealworms, proteinrich cricket flower, or swapping your Walkers for salt and vinegar flavoured grasshoppers? If so then you are not alone! Over 2 billion people regularly eat insects as part of their diet, and the world is home to around 1,900 edible insect species. For adventurous foodies and daring dieters comes the newest way to save the planet, eat more protein, and tickle taste buds. But this isn’t an insect cookbook. Instead it’s an informative field guide: exploring the origins of insect eating, offering tips on finding edible bugs and serving up a few delicious ideas of how to eat them once you’ve tracked them down! It includes a comprehensive list on edible insects and where to find them, how to prepare them, their versatile usage and nutritional value as well as a few recipes. A bug-eating checklist covering all known edible bugs so readers can mark off the ones they’ve eaten and seek out new delicacies concludes the book. This is a perfect introduction to the weird, wonderful, and adventurous side of entomophagy.